There is something about our world that is so hard to comprehend that we cannot fathom its depths and implications: This is both terrifying and liberating. This is the kind of message I imagine Robert Bigelow conveying in his actions and his words. 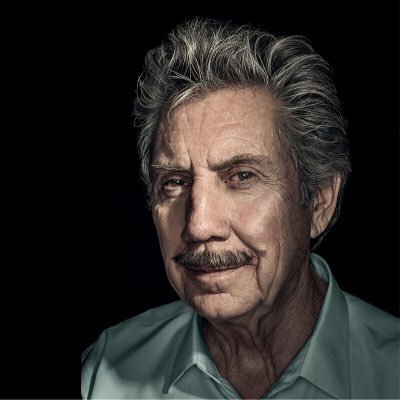 Robert Bigelow, an American businessman might have gone under most of our radar, but then he started to do some very unexpected maneuvers that brought him into the spotlight. Why did he do this? And, how do we get him to convey his reasons? From the satisfying and rewarding task of owning a successful hotel chain to the daunting and challenging task of owning an aerospace company, this businessman has done some unusual steps along the way that makes one wonder; what drives him? (When asked if he believes in aliens) "I'm absolutely convinced and that's all there is to it," said Bigelow, founder and CEO of the commercial space company Bigelow Aerospace. "There has been and there is an existing presence, an E.T. presence." That last statement caught my attention, as someone with life-long contacts with what I could only terms as "greys." The culture of people who have had encounters not only recognize it in others, but they also seem to run serendipitously into fellow experiencers as if they are being put in their path. My own take on the alien element is more of a parallel world/dimension, and not physically something out in space. In 1992, Bigelow worked to get a radio show going about UFO/alien-related events. Interestingly, this billionaire started the National Institute of Discovery Science in 1995 to cover such unexplained things as cattle mutilations and crop circles. In 2009, he worked with MUFON (Mutual UFO Network) to train investigators to be rapidly deployed into the field to gather intelligence on UFO/alien encounters. If this wasn't focused enough, Bigelow bought the "Skinwalker Ranch" in Utah, known for having some alien-type encounters and other phenomena/cryptids. A study by his NIDS group was done on the property for some time and in the chilling accounts in the book Hunt For the Skinwalker (my favorite nonfiction paranormal account book ever - whether it went down that way or not, it is a compelling read). Sure, a billionaire can be as eccentric as he wants, perhaps have a home theater designed for 200 guests with a full candy bar and popcorn cart, perhaps get an assortment of rare exotic pets in a zoo in his backyard, but how many are geek enough to focus on just one subject? Contactees are those who have encountered alien exchanges in which information or knowledge was imparted. They are not experimented upon or taken away to a ship, but are informed through telepathic means that they are chosen or altered in some way. They are visited throughout their lifetimes to impress the importance of peace, to further technology, to be given a glimpse of mankind's possible outcomes. These individuals are trusted and responsible people who feel the weight and burden of foreknowledge. In my own encounters, I was informed of my mission: To find the schism between the worlds and open and close the door at will in front of witnesses. I wrote about this in my Kindle book "My Alien Encounters." Contactees often are "altered" in some magnificent way to utilize the brain differently, to have unusual skills and talents. This gives a certain amount of drive to make a change in this world, to have an impact. It is indisputable that Bigelow has left his mark. But has his obsession with aliens and space had anything to do with actual encounters or just the musings of a child who grew up with 1950s scifi-oriented culture? Could he be a contactee? If he is, it would be my hope that he be upfront about its influences and his possible agenda in building the unusual empire he seeks. I can only speak for myself as a contactee and the others I have known who have had contact: We are an usually ambitious and talented set of people who know we have a mission, but aren't always clear what it is. We are simply guided by a drive and a skill set that cuts a path to progress. "Dude, we need to talk...."